The annual conference of the Australian Entomological Society is on next week. Although I’ll be missing the trip to Adelaide this year, our lab will be represented with some presentations on bed bugs and biting insects! The 44st AGM and Scientific Conference of the Australian Entomological Society will be held from 29 September through until 2 October 2013 in Adelaide, South Australia. These meetings are great and I’m disappointed not to be attending this year. The meetings attract a wide range of researchers in the field of entomology, from those working on agricultural pests through to ecologists using arthropods to measure environmental change. The theme of the conference is “Invertebrates in extreme environments”. I was originally planning on presenting some work on the saltmarsh mosquito, Aedes vigilax. This is an insect that thrives in the super saline conditions of tidally influenced saltmarsh habitats. It has adapted to these environments be developing dessication resistant eggs, the ability to lay its first batch of eggs without the need for a blood meal and can disperse many kilometers from the wetlands. It also happens to be a major nuisance-biting pest and vector of pathogens including Ross River virus. Time and budgets squished that plan unfortunately, perhaps next time. Webb, C.E., Doggett S.L. & Russell R.C. The field of medical entomology covers much more than just mosquitoes! A new resource will soon be available to those government and non-government organisations that often need to provide advice on a range of arthropods of medical importance in Australia. The Environmental Health Committee (enHealth) of the Australian Government Department of Health and Ageing has commissioned the production of revised guides for the management of arthropod pests of public health importance in Australia. The original document, Guidelines for the Control of Public Health Pests: Lice, fleas, scabies, bird mites, bedbugs and ticks, was produced in 1999 and, while providing a useful resource for environmental health officers responding to enquiries from the general public, much of the information had become outdated. There was also a number important pests and/or pest groups left out of the original document. A new version of the document is expected to be made available for public comment in 2013 and this presentation will summarise some of the key features of, and additions to, the revised document. Insecticide Resistance In Bed Bugs In Australia: Are They Getting A Little Too Cozy In Your Bed? 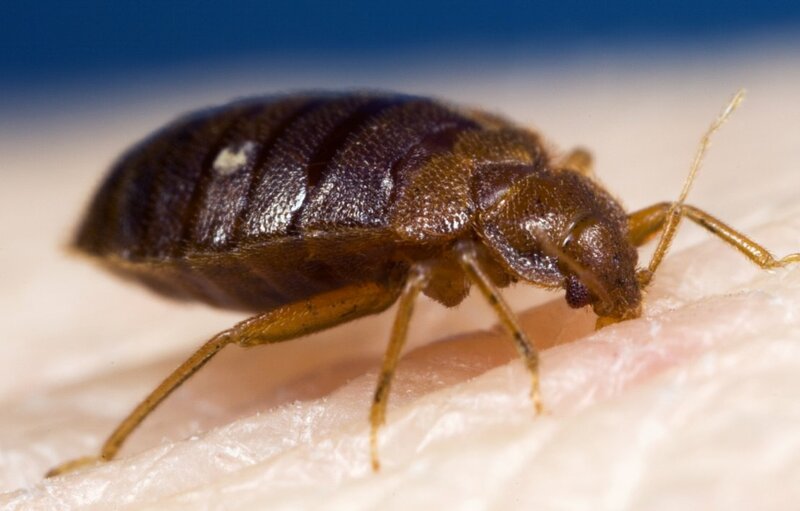 Insecticide resistance in bed bugs has been nominated as a major factor in the pest’s resurgence. Recent studies using field and laboratory strains of Cimex lectularius and C.hemipterus across Europe, Africa, Asia and North America have variously demonstrated resistance to the pyrethroids, carbamates and, to a lesser extent, the organophosphates. Resistance has been suspected in Australia, with anecdotal reports of treatment failures due to poor product performance. Early efficacy investigations on a range of formulated products found indications of resistance in an Australian derived strain of C. lectularius. To confirm if resistance was present, four compounds (permethrin, deltamethrin, bendiocarb and pirimiphos-methyl) encompassing the major groups of insecticides then registered for bed bug control in Australia were selected for bioassay along with one compound (imidacloprid) to which strains should not have received any exposure at that time. LD50 values (at 24 h) were determined via topical application of the technical grade compounds serially diluted in acetone against a suspected resistant strain (collected from and designated the ‘Sydney’ strain) and a susceptible laboratory strain imported from Bayer CropScience AG, Germany (the ‘Monheim’ strain). All tests were conducted using mixedsex adult bed bugs that had been offered a blood meal within the last 7 days. All compounds tested against the Monheim strain demonstrated high levels of insecticidal activity. However, for the Sydney strain only pirimiphos-methyl and imidacloprid showed high levels of efficacy. Bendiocarb, permethrin and deltamethrin all failed to return greater than 60% mortality at the maximum applied rate of 100μg/μL. The resistance factor (calculated as: Sydney LD50 / Monheim LD50) for each compound was:permethrin = 1.4 million, deltamethrin = 430,000, bendiocarb = 240, pirimiphos-methyl =2.8, imidacloprid = 2.7. Thus using this experimental protocol, resistance was detected with the pyrethroids and carbamates, but not the organophosphates or neonicotinoids (with thedifferences reflected against those compounds likely due instead to a minor resistance- related fitness cost or physiological difference between the strains). This research has significant implications for current and future insecticide management when attempting to control bed bugs. Further studies are ongoing to determine the mechanism(s) of resistance. Something happened 20 years ago that set the wheels in motion for my life in the swamps. On September 24 1993 International Olympic Committee President Juan Antonio Samaranch announced that Sydney had successfully won the right to host the Olympic Games in the year 2000. With those now famous words, “and the winner is…Sydney”, my path towards a life of research into mosquitoes and wetland rehabilitation had begun. Not that I realised this at the time. In September 1993 I was nearing the completion of a BSc at Macquarie University. Although I was thinking about continuing with Honours the next year, a PhD was still a long way from my mind. I was probably worrying more about securing tickets to the following year’s Big Day Out to see Teenage Fanclub and the Breeders than launching my research career. I certainly had no idea at the time how important the 2000 Olympics announcement would be for me. Although the area around Homebush Bay had been earmarked for redevelopment for a long time, it was the announcement that this was to be the central location for the 2000 Olympics that really kicked off the transformation of the site. Most importantly for me, it wasn’t just the sporting and accommodation facilities that were being built that was important, it was the major wetland rehabilitation projects planned that provided me with a life changing opportunity. Mosquitoes had been a problem around Homebush Bay, and parts of the Parramatta River, for a long time. There had been reports of nuisance-biting problems and mosquito control programs in the local region since the 1920s. There was even a push from the community in 1929 to spray kerosene on local wetlands from an aeroplane to control mosquitoes! During the 1980s, the pest mosquito problems began to intensify as local communities around Homebush Bay complained to local authorities about how unpleasant life had become during the summer months. One of the problems, as I would find later during my PhD candidature, was that the unusually high mosquito populations were really symptomatic of the poor health of the estuarine wetlands. The shoreline along Homebush Bay and the Parramatta River had been heavily modified and this had restricted the flow of tides and rainfall runoff into and out of the wetlands. The wetlands had become clogged with large areas of stagnant water. As well decreasing the health of the wetlands, it enhanced conditions for the production of pest mosquitoes. The most important pest mosquito was the saltmarsh mosquito, Aedes vigilax. This species is a severe nuisance-biting pest, disperses many kilometres from wetlands and is closely associated with outbreaks of mosquito-borne disease. Along the east coast of Australia, this species has been identified as playing a key role in the transmission of Ross River virus and Barmah Forest virus during epidemics. 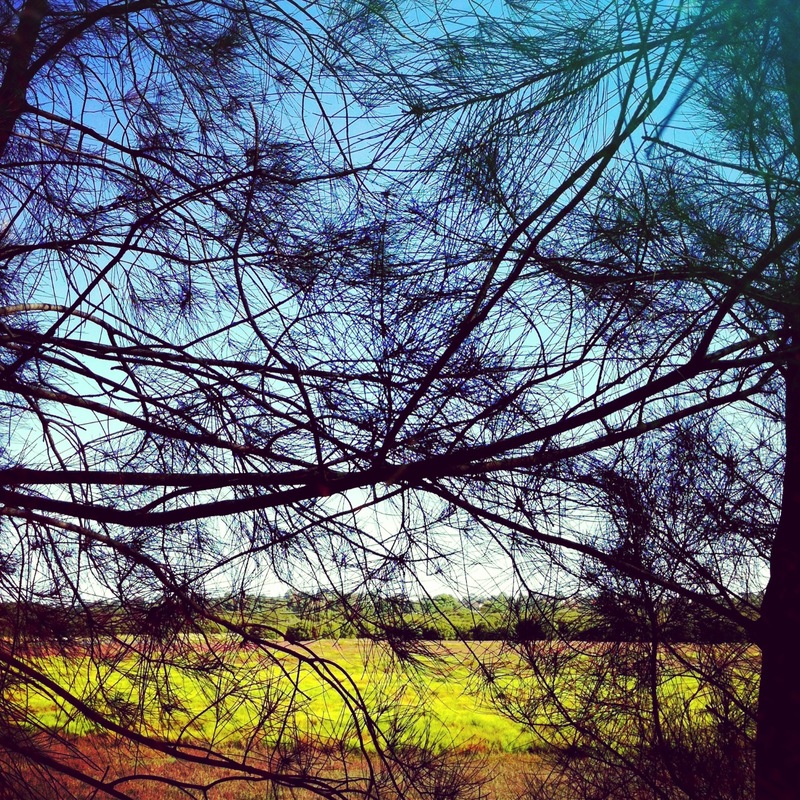 Along the Parramatta River, the risks of mosquito-borne disease are minimal as there are no native animals (i.e. kangaroos and wallabies) that act as reservoirs for the mosquito-borne viruses. However, large populations of these mosquitoes can still cause a problem due to their nuisance-biting. A large section of wetlands at Homebush Bay was contained within the Royal Australian Navy Armament Depot (RANAD) Newington (commonly known as the Newington Armory). 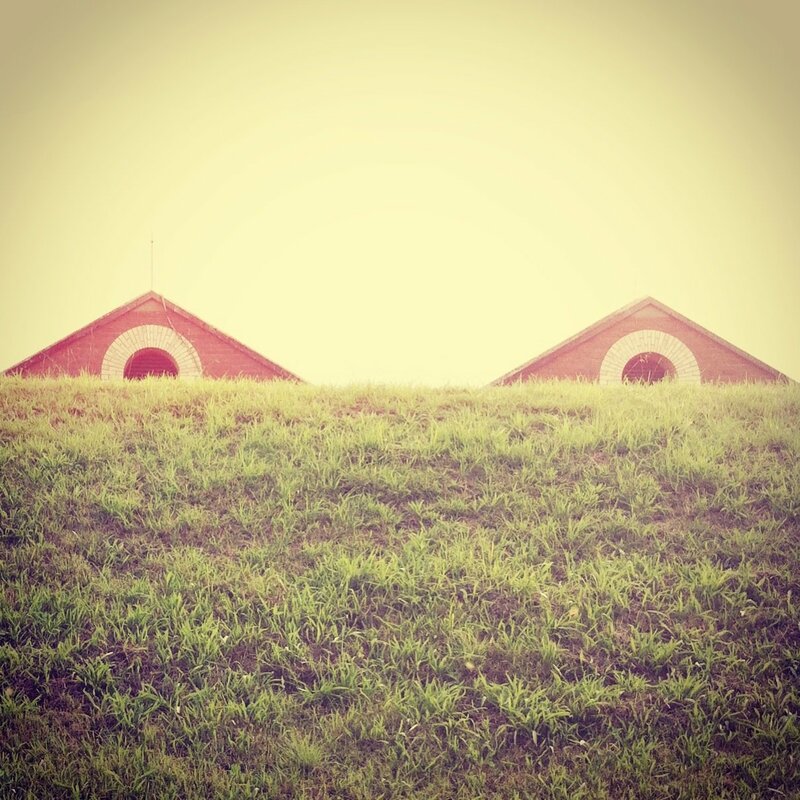 This site was operated as a ammunition depot from 1897 through until 1999. 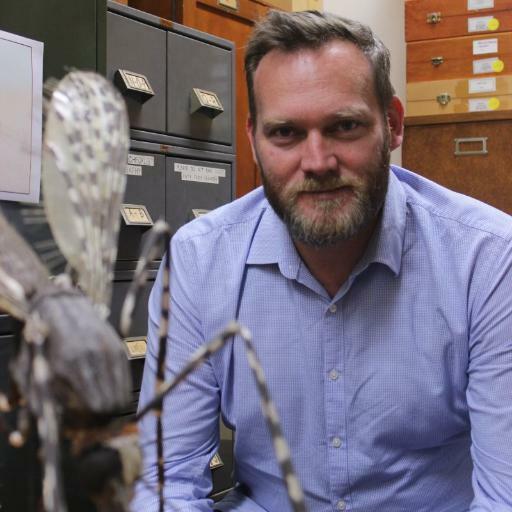 With a desire to better understanding the environmental drivers of pest mosquito populations and to develop environmentally sustainable strategies to reduce the mosquito populations, the Australian Government Department of Defence provided funds to support a PhD project through the University of Sydney. I had just finished my BSc (Hons) at Macquarie University investigating the response of ant populations in rehabilitated coastal sand dunes and the role of mosquitofish in Sydney’s declining frog populations. I’d developed a love of research and started looking around for projects. I was originally interested in a project studying bird populations associated with rehabilitated urban streams but that didn’t quite work out. Someone passed on the details of a PhD scholarship with the University of Sydney to investigate mosquitoes. I was fortunate to be awarded that scholarship and haven’t looked back. What I love most about working with mosquitoes is that they’re a link that connects many aspects of environmental science, entomology, public health and scientific communications. Mosquitoes, particularly Aedes vigilax, are Australian native animals that have adapted to a specific, and particularly harsh, ecological niche. These estuarine wetlands, particularly saltmarshes, where the mosquitoes are found are also important and threatened ecosystems. Perhaps the mosquitoes are also vital components of these ecosystems as a food source for insectivorous animals? While it is certainly true that large populations of mosquitoes can be produced from healthy natural wetlands, I am finding that unusually large mosquito populations are often found in association with degraded wetlands, particularly those in urban areas. The work I’ve done documenting the ways in which degraded wetlands can be rehabilitated, while reducing mosquito populations, will hopefully assist in the development and willingness of local authorities to undertake rehabilitation projects. I’ve come to realise that mosquito management needs to be a key component of wetland management. Notwithstanding the duty of care wetland managers have to reduce potential public health impacts, engaging the community to care about wetlands and their conservation will always be much harder if visitors are chased away by swarms of biting mozzies. Effective mosquito management can help wetland conservation! Together with the Sydney Olympic Park Authority, I’ve had an opportunity to incorporate my ongoing research into the development of ecologically sustainable mosquito management strategies. We’ve conducted a number of projects that have restored tidal flushing to degraded areas of mangroves to improve the health of the wetlands while also reducing the need for mosquito control. In areas where mosquito control is required, a detailed surveillance and assessment program is in place that ensures that mosquito population increases are minimised without any adverse impacts to the local environment. 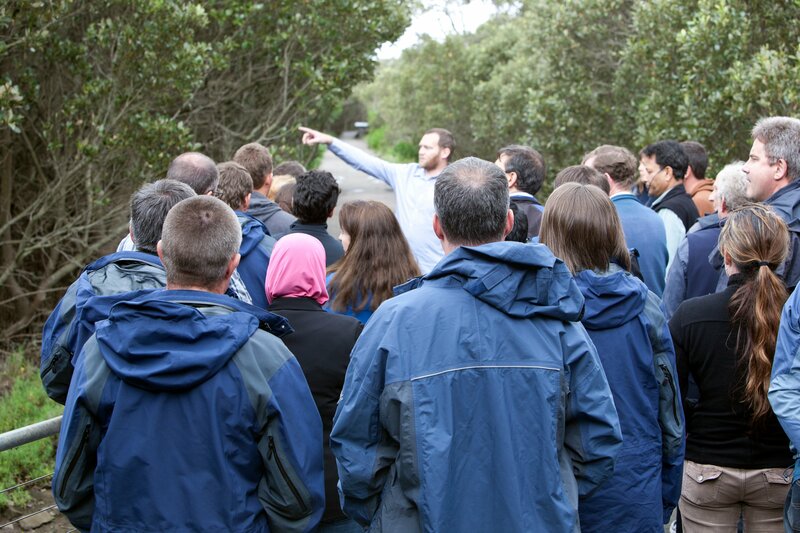 The other benefit of working closely with the Sydney Olympic Park Authority has been the opportunity to work with them on educating the community and a range of professionals on the importance of wetland conservation. Whether it is public lectures, speaking to school groups or coordinating workshops on wetland management techniques, it has been a pleasure to share my experiences and knowledge with new groups of people. I think that there was a time when mosquito control operations were perceived as being at odds with wetland conservation but I argue strongly at every opportunity that an integrated approached to wetland management, that includes mosquito management, is critical. Once wetlands were drained or filled to control mosquitoes, now tidal flows and predator populations are promoted to reduce the suitability of wetlands for pest mosquitoes. 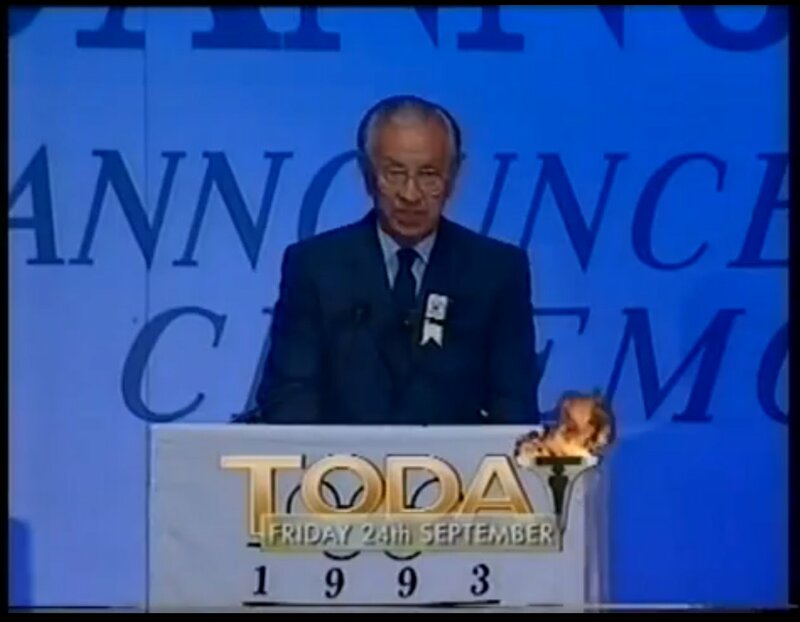 Now, on the 20th anniversary of that historic announcement by Juan Antonio Samaranch, I’m taking some time to reflect on what turned out to be a very fortunate opportunity for me. That opportunity introduced me to the world of mosquitoes and has allowed me to continue that work in one of the most interesting wetland rehabilitation projects in Australia. This month, medical entomologists from across the globe will come together in California for the 6th International Congress of the Society for Vector Ecology. With thanks to a travel grant provided by the Bill and Melinda Gates Foundation, two of my (recently completed) PhD students will be attending and presenting work on the role of mosquitoes in urban environments and mosquito-borne disease risk. The Society for Vector Ecology was established in 1968 to bring together individuals interested in the management of vector-borne disease. This includes professionals mostly involved in mosquito research, mosquito control and surveillance operations and communications. Every four years, the society holds a congress either in North America or Europe. The couple of congresses that I’ve attended have been fantastic and I’m greatly disappointed not to be able to attend this year’s meeting. The 6th International Congress of the Society for Vector Ecology is being held 22-27 September in La Quinta, California, USA. You can have a look at a PDF of the program here. Although I won’t be able to make it, two of my PhD students will be attending after being awarded travel grants by Bill and Melinda Gates Foundation. They will be presenting some of the work they completed as part of their PhD candidature. The titles and abstracts of their presentations are below. Manangement of mosquito-borne disease risk in coastal Australia faces many challenges. Urbanisation is increasing the size and proximity of the community to productive mosquito habitats. 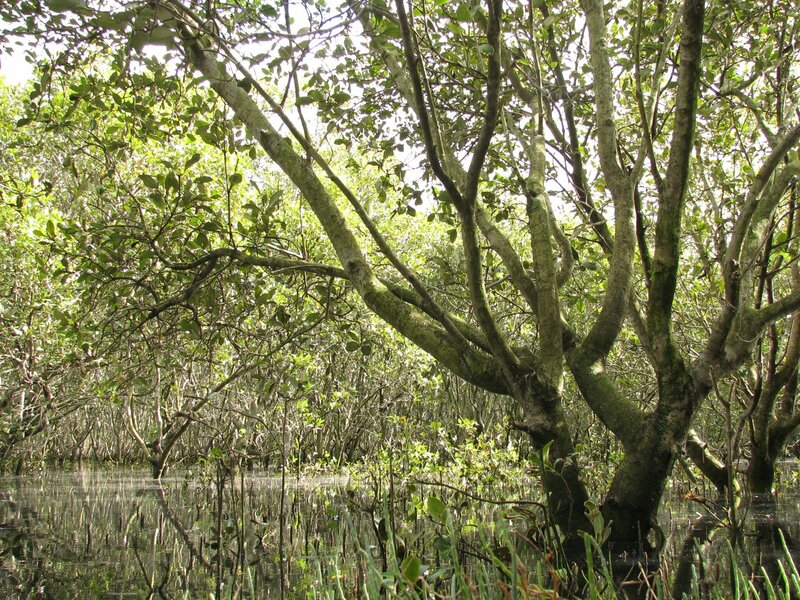 Coastal wetlands are also the focus of conservation and rehabilitation efforts. Mosquitoes associated with these wetlands, in particular the saltmarsh mosquito, Aedes vigilax, are abundant, widely dispersing and key vectors of Ross River and Barmah Forest viruses. These mosquitoes may also represent an abundant prey resource for threatened and endangered insectivorous bat species and local authorities are reluctant to approve broadscale mosquito control programs due to concerns regarding indirect impacts on local bat populations. A combination of diet analysis, radio-tracking and prey abundance studies were undertaken. Analysing prey DNA within guano collected from 52 individuals representing five local bat species demonstrated that bats consumed a diverse range of prey dominated by lepidopterans. Consumption of Ae. vigilax was restricted to two species, Vespadelus pumilus and V. vulturnus. Radiotracking of 13 V. vulturnus individuals during periods of relatively large and small population abundances of Ae. vigilax, together with monitoring of prey abundance, revealed that foraging ranges of bats shifted in response to mosquito abundance (and no other prey). These findings suggest that there are species-specific relationships between bats and mosquitoes and that there may be site-specific strategies required to balance mosquito management and bat conservation. The biology, distribution and genetics of Culex molestus in Australia? The Culex pipiens subgroup of mosquitoes includes some of the most important vector species involved in mosquito-borne disease transmission internationally and four species within this subgroup are found in Australia. One of these species, Culex molestus, is thought to have been introduced into Australia in the 1940s. Closely associated with subterranean urban habitats, this mosquito has the potential to cause serious nuisance biting impacts but also may cause significant public health risks through the transmission of endemic arboviruses. Exotic pathogens, such as West Nile virus, may also pose a potential threat to biosecurity of Australia. Our review of the literature has confirmed that the current Australian distribution of Cx. molestus is limited to areas south of latitude -28.17ºS. However, given that the mosquito is established in habitats south of the corresponding zone in the northern hemisphere, there is potential for Cx. molestus to spread north into QLD and NT. Molecular analysis of the mosquito indicated that Australian Cx. molestus shared stronger genetic similarity with specimens from Asia than specimens from Europe or North America. 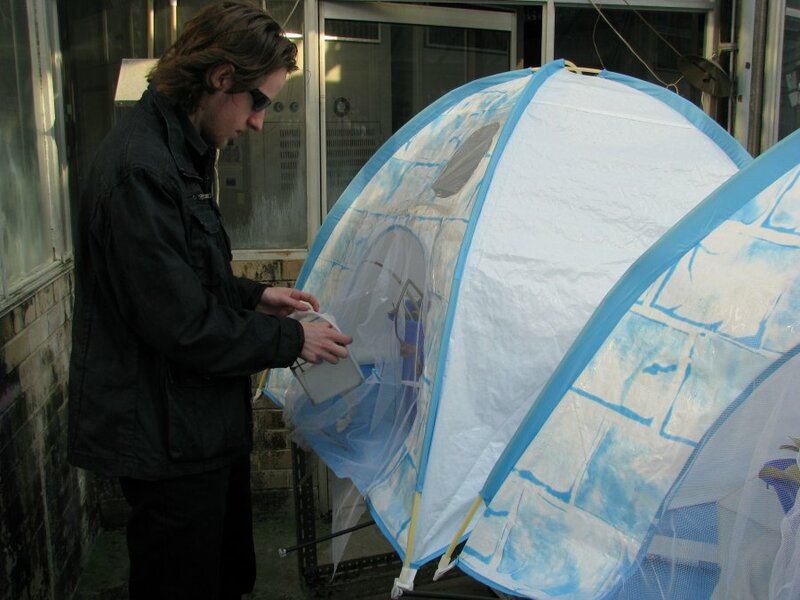 Laboratory and field studies have shown that the mosquito is uniquely adapted to urban environments through the expression of autogeny (ability to lay their first batch of eggs without a blood meal) and stenogamy (ability to mate in confined spaces). Culex molestus is active throughout the year and the current trend towards increased water storage in urban areas of Australia has raised concerns of increased nuisance-biting and public health risks in the future. 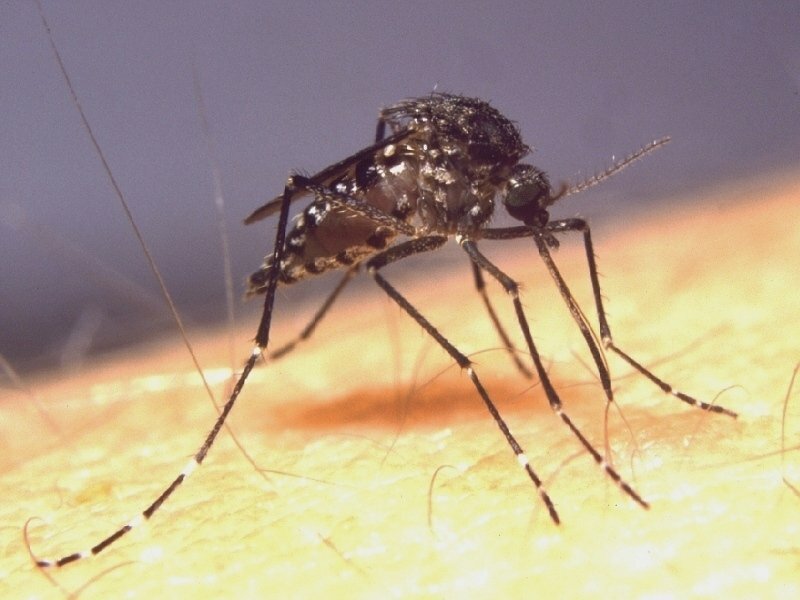 However, the results of our studies indicate that there may be biological and ecological barriers that may lessen the importance of this mosquito in urban mosquito-borne disease cycles. A delay in blood feeding resulting from their obligatory autogeny, combined with limited access to potential reservoir hosts, may reduce the likelihood of them playing a significant role in pathogen transmission. Do aquatic weeds promote mosquito breeding? 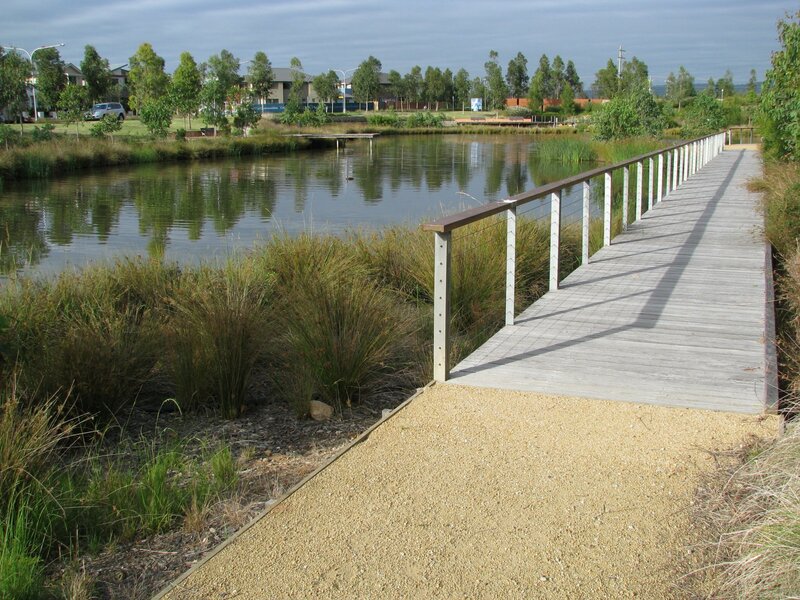 Constructed wetlands are increasingly common in newly develop urban areas across Australia. One of the major drivers of the increasing prevalence of these wetlands is the threats posed to many urban areas along the east coast of Australia where a changing climate poses a serious need to better manage our water resources. The objectives of these wetlands are for stormwater or wastewater treatment, water storage, passive recreation, community eduction or simply aesthetic appeal. Aquatic macrophytes play an important role in achieving many of these objectives. Increasingly, these wetlands play an important role in wildlife conservation. Constructed wetlands may provide refuges for plants and animals under threat from urbanisation and climate change. Whether it is providing habitats for frogs, birds or bats or off setting habitat loss from large scale urban developments, constructed wetlands (both estuarine and freshwater) are becoming a more common sight around our suburbs. The mosquito-borne disease risks associated with constructed wetlands have been well documented. While these wetlands are generally small, given their proximity to the community, they may increase the relative risk of mosquito impacts and must be addressed in urban design strategies. Our results indicate that wetlands designed to act as functional reproductive habitat for amphibians should incorporate shallows, high amounts of planted or naturally established vegetation cover, and should be fish-free. A wetland like this, as well as being an ideal habitat for frogs, will also be a very suitable habitat for mosquitoes! Studies have shown that the tadpoles are unlikely to help control mosquitoes either. 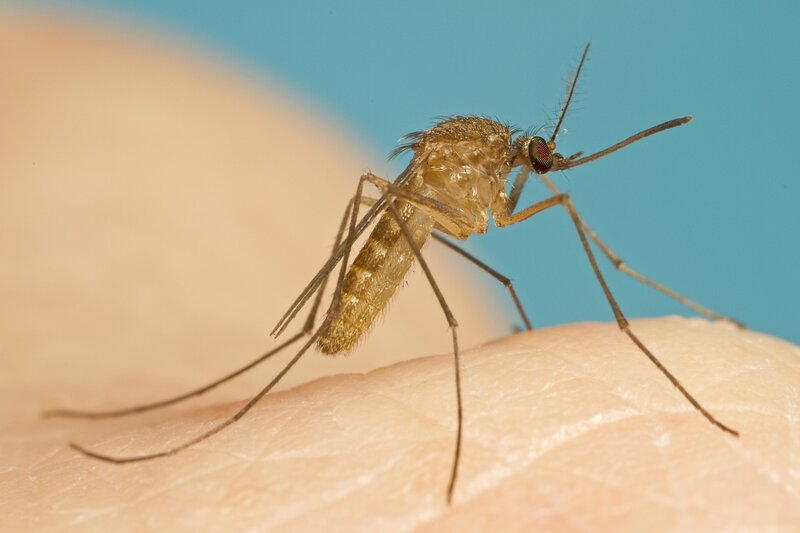 While it should be noted that mosquitoes are a natural part of wetland ecosystems, the threats of nuisance-biting and public health risks mean that effective mosquito management strategies will need to balance both human and environmental health risks. There aren’t many studies that link specific aquatic plant species to mosquito species. There are some mosquito species in Australia, such as Coquillettidia linealis, that have a close association with aquatic plants. The immature stages of these mosquitoes don’t breath at the water surface like most mosquitoes. Instead, they attach themselves to the roots and submerged parts of the plant. They can be an important pest species and may play a role in transmission of Ross River and Barmah Forest viruses. While there is little evidence of macrophyte-specific risk factors for mosquito production, there are studies that demonstrate the link between vegetation structure and mosquito production. The design of the wetland plays an important role but so too will the choice of vegetation type. Unfortunately, while native aquatic plants may be suitable for constructed wetlands they can often be overtaken by invasive exotic weed species. There hasn’t been a lot of work done on exotic aquatic plants in Australia and their associations with mosquitoes. In 2011, I was fortunate to have a couple of fourth year students from the University of Sydney Faculty of Agriculture and Environment work with me on a couple of small research project. One of those projects was to investigate the egg-laying behaviour of mosquitoes in response to three exotic aquatic plant species. The results of that paper have just been published in General and Applied Entomology, the Journal of the Entomological Society of New South Wales. Like many regional societies, the Ent. Soc. NSW has struggled in recent times to attract new members and as some serious discussions have been underway as to the restructuring of the society, the latest issue of General and Applied Entomology was substantially delayed. It is only now, in September 2013, that the 2012 issue of the journal has been released. 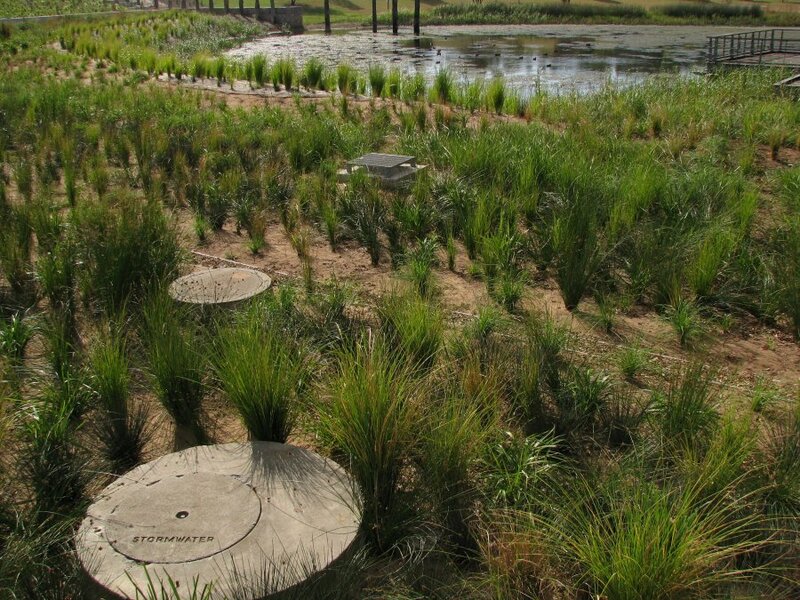 Constructed wetlands are becoming more common in New South Wales as they are a key element of Water Sensitive Urban Design within new residential and industrial developments. As well as providing waste-water management, wildlife conservation, or improved amenity, they may also inadvertently enhance local habitats for mosquitoes. The diversity and abundance of aquatic macrophytes has been identified as a predictor of mosquito abundance but there is a paucity of information on species-specific mosquito-plant associations. This study was to determine whether two pest mosquito species, Culex annulirostris and Culex quinquefasciatus exhibited an ovipositional preference when exposed to three aquatic plant species (Salvinia molesta, Eichhornia crassipes, and Cyperus haspens) in laboratory tests. Significantly more egg rafts were laid in association with S. molesta than either E. crassipes or C. haspens by Cx. annulirostris. This result suggests that control of S. molesta may reduce the suitability of habitats for mosquitoes. There was no significant difference in the mean number of egg rafts laid by Cx. quinquefasciatus in association with the three plant species. These results highlight the need for appropriate management of aquatic weeds in wetlands to ensure the environmental and human health risks are minimised. We compared the egg-laying preferences of two mosquito species commonly associated with constructed wetlands. Culex annulirostris is one of the major freshwater pest mosquitoes in Australia and it has been demonstrated that this species plays an important role in the transmission of pathogens such as Ross River virus and Barmah Forest virus. The second species used in experiments was Culex quinquefasciatus, commonly known as the brown house mosquito, this species is widespread in urban areas of Australia and, as well as being found in wetlands, will also utilise storm water structures and other highly polluted man-made water sources. 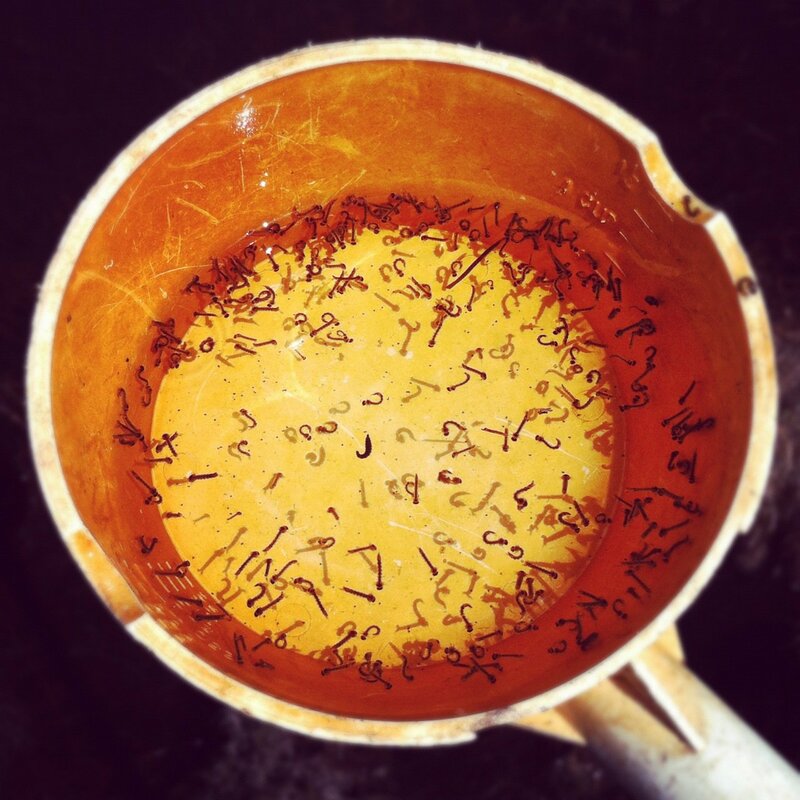 Gravid mosquitoes were released into small cages in the presence of buckets containing water and one of three plant species. Three aquatic plant species, each exhibiting a different growth form, were Salvinia molesta (salvinia) is a small free-floating water plant, Eichhornia crassipes (water hyacinth) is a medium sized free-floating plant and Cyperus haspens (dwarf papyrus) is an emergent macrophyte. The number of egg rafts laid in associations with each of the plant species was recorded. The most interesting result we found was that Culex annulirostris laid more eggs in association with the floating weed salvia. This exotic species is considered a “weed of national significance” and should be controlled for a range of reasons. 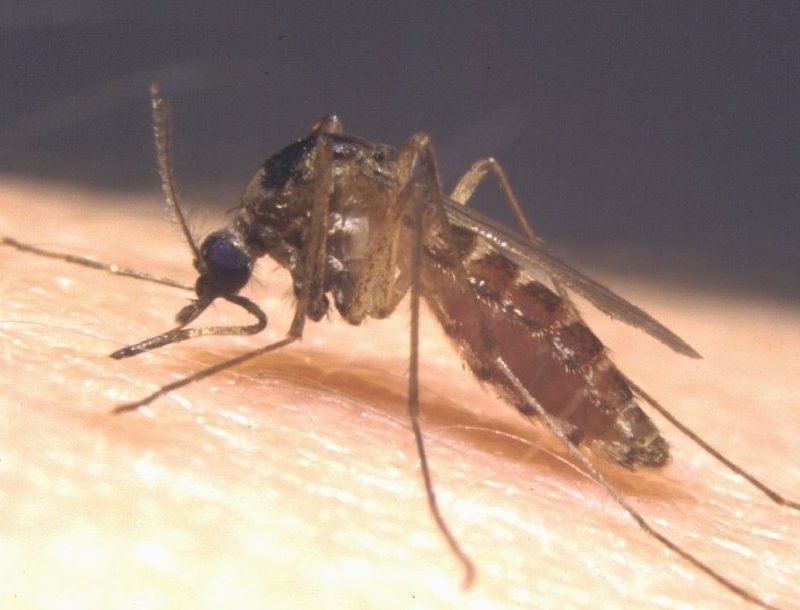 Looks like reducing the suitability of a habitat for mosquitoes may be an additional reason! Interestingly, the egg-laying preferences were not consistent between the two species. While Culex annulirostris had a strong preference for salvinia, Culex quinquefasciatus did not display a preference for any of the plant species. Previous studies have identified differences in the differing response of these two species to characteristics of habitats. The implications of this research are that there may be close associations between the egg-laying preferences of mosquito species and local aquatic plants. There is still much work to be done to characterise these relationships between pest mosquitoes and Australian aquatic plants. The results of our short study here indicate that invasive aquatic weeds like salvina may increase the suitability of habitats for mosquitoes. 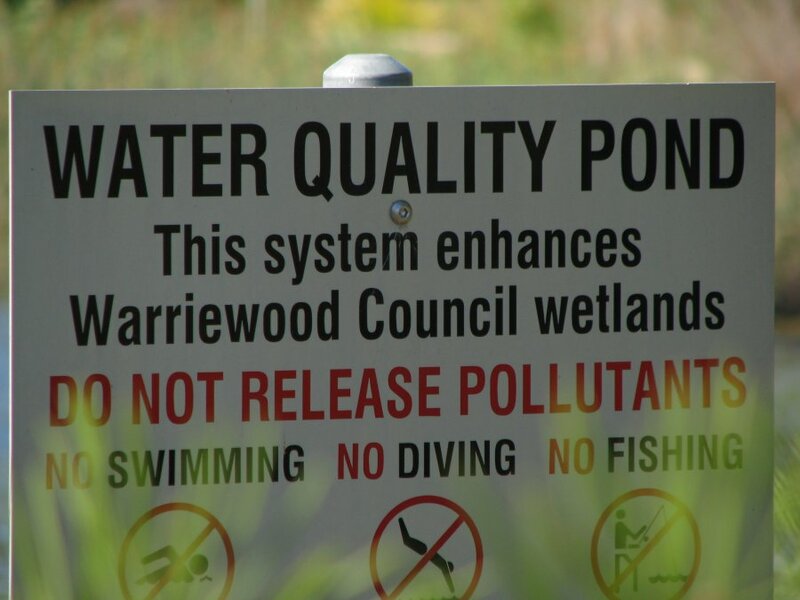 The risk that these aquatic weeds may increase the pest and public health risks associated with constructed wetlands close to urban areas in Australia provided further justification for the management of these plants. 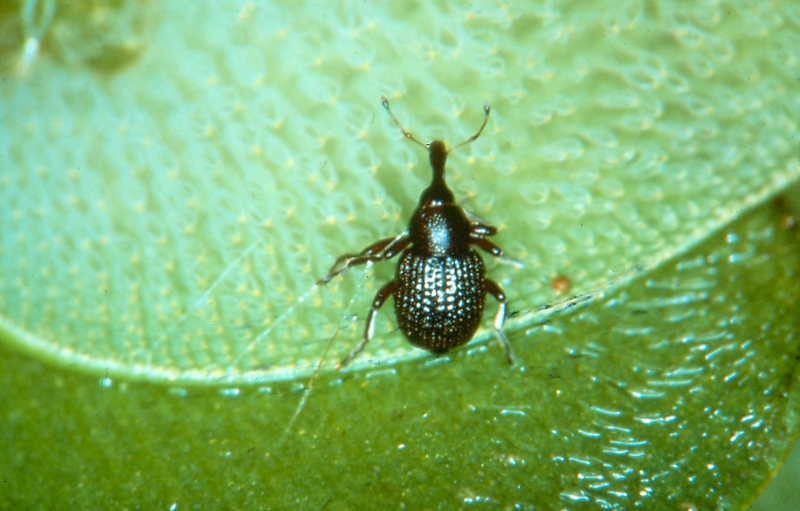 One of the interesting ways in which infestations of salvinia are controlled in Australian wetlands is through the release of the salvinia weevil, Cyrtobagous salviniae. Originally imported and released by CSIRO in QLD around 1980, this salvinia chomping weevil has been released at a number of sites to control the spread of this weed. While some studies have indicated that this species may not provide long-term control of salvinia unless environmental conditions are favourable, there is great potential for this biological approach to aquatic weed control in some regions. It looks like our insect friends may be both friend and foe of wetland managers across Australia. Filling the gaps in our knowledge regarding the site-species relationships between insects and aquatic plants may help better manage our natural and constructed urban wetlands. Webb CE, Ironside A. and Mansfield S. (2012) A comparison of ovispoistion preference in the presence of three aquatic plants by the mosquitoes Culex annulirostris (Skuse) and Culex quinquefasciatus (Say) (Diptera: Culicidae) in laboratory tests. General and Applied Entomology 41: 21-26.